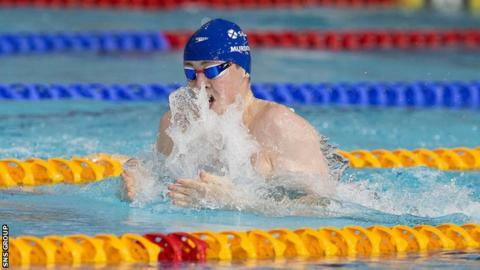 Glasgow will host the next British Swimming Championships, which double as the Olympic trials. The Tollcross venue, used for the 2014 Commonwealth Games and this month's IPC World Championships, will stage the event in April 2016. Results will determine the make-up of the Great Britain team bound for the Rio de Janeiro Olympics in August 2016. "It's a perfect pick for us," British Swimming national performance director Chris Spice said. "Glasgow and Tollcross is a great choice on the back of an inspirational Commonwealth Games last year. The refurbished pool is like a new facility. "We enjoy going there as the venue, supporters and city look after us very well," he added. "The athletes and coaches are looking forward to the public packing the venue once again and getting behind them at the most important national championships of the four-year cycle."